This privacy notice tells you what you can expect us to do with your personal information when you make contact with us, use one of our services or have an interaction with us as a regulator. The first part of the notice is information we need to tell everybody. The Health and Safety Executive (HSE) is the controller for the personal information we process, unless otherwise stated. You have raised a concern/complaint/ enquiry to us. You subscribe to our e-newsletter/e-bulletin. You are registered, certificated or licenced by HSE. You have volunteered for a research programme. We have contacted an organisation about a complaint you have made, and it gives us your personal information in its response. Whistle-blowers include information about you in their reporting to us. We have gathered personal information as part of a regulatory investigation or intervention. Your information has been passed to us as by a business you work with/for in relation to commercial testing of samples. Your data has been entered into a licencing or regulatory data base by your employer / contract holder. You have been involved in the purchase of a product using our website. You have registered on one of our web communities. Please contact us at DPO@hse.gov.uk if you wish to make a request. We'll create a record of your adjustment requirements. These will give your name, contact details and type of adjustment required, along with a brief description of why it is required. Relevant staff can access this to ensure they are communicating with you in the required way. At the end of the retention period, your personal data will be disposed of securely. If you have subscribed to an email alert or subscription service, we will keep your personal data for as long as you are subscribed to that service or are required to by law and we will delete that data if you have requested to be removed. In circumstances where we are a joint controller this notice will outline how we will manage your data and the other party will also explain how they manage your data. In some circumstances we are legally obliged to share information. For example, under a court order or where we cooperate with other European supervisory authorities in handling complaints or investigations. We might also share information with other regulatory bodies or law enforcement agencies in order to further their, or our, objectives. In any scenario, we'll satisfy ourselves that we have a lawful basis on which to share the information and document our decision making and satisfy ourselves we have a legal basis on which to share the information. In our capacity as UK regulator for enforcing health and safety in the workplace, there are some circumstances where we must cooperate with and help other supervisory authorities in the EEA, in handling complaints, investigations and to regulate the movement of materials (e.g. explosives and chemicals) This may lead to sharing personal information if it is relevant to these tasks. We may also share your information in the event of the non-payment of a Civil Monetary Penalty. If the debt remains outstanding after the specified timeframe for payment, no payment plan is in place or an agreed payment plan is not being adhered to, we may initiate formal proceedings to recover the full amount of the unpaid penalty. As a result, the HSE will share personal data with the litigation and recovery specialists it instructs in order for them to identify assets and undertake recovery action through the courts. We work to high standards when it comes to processing your personal information. If you have queries or concerns, please contact us at Make a complaint to HSE and we'll respond. If you remain dissatisfied, you can make a complaint about the way we process your personal information to the UK supervisory authority the Information Commissioners Office. We keep our privacy notice under regular review to make sure it is up to date and accurate. It was last updated 06 March 2019. We do not provide services directly to children or proactively collect their personal information. However, we are sometimes given or collect information about children while handling a complaint or conducting an investigation. The information in the relevant parts of this notice applies to children as well as adults. This notice has been written in plain language, so it is easy to understand. When you call our main helpline (0300 003 1647), we collect Calling Line Identification (CLI) information. This is the phone number you are calling from (if it's not withheld). We hold a log of the phone number, date, time and duration of the call, but do not audio record the call itself. We hold this information for 90 days. We don't audio record any calls, but we might make notes to help us answer your query. Other HSE staff may also listen in during your call for training or quality assurance purposes. If your visit is planned, we'll send your name and visit information to reception before your visit you will be given a visitor badge. You must wear a pass throughout your visit. We ask all visitors to sign in and out at reception and show a form of ID. The ID is for verification purposes only, we don't record this information. Any CCTV used in our offices is not operated by us, so we are not the controller. It will be under the control of the relevant building landlord. Our purpose is to regulate Health and Safety in line with our statutory duties under the Health and Safety at work Act 1974, including inspection and investigation activities. We need information from you to investigate your concern properly, so our complaint forms are designed to prompt you to give us everything we need to understand what's happened. We need to know the details of your concern, so we can investigate it and fulfil our regulatory function. No third parties have access to your personal information unless the law allows them to do so. If you don't want information that identifies you to be shared with the organisation you have raised a concern about, we'll try to respect that. However, it is not always possible to handle a concern on an anonymous basis so may contact you to discuss this. If the information you provide us in relation to your report contains special category data, such as health, religious or ethnic information the legal basis we rely on to process it is article 9(2)(g) of the GDPR, which also relates to our public task and the safeguarding of your fundamental rights. And Schedule 1 part 2(6) of the DPA2018 which relates to statutory and government purposes. We need enough information from you to investigate your protected disclosure to us, including any evidence you have to support it. When we receive a disclosure from you we'll set up a case file containing the details. This normally includes your identity, contact details and any other information you have given us about individuals involved in the disclosure. We will treat the information you provide confidentially. You can contact us anonymously if you prefer but your details will not be given out when we progress your disclosure, unless you give your permission. We need to know the details of your complaint so that we can decide on the organisation's compliance with the relevant legislation and fulfil our regulatory function. We'll treat the information you provide as confidential and won't disclose it without lawful authority. If possible, we'll give you feedback about any action we take because of your disclosure. However, this feedback will be restricted. We also have a duty of confidence to the organisations we regulate. We are legally prevented from sharing much of the information we hold about them. We'll also publish information in a yearly report about any action we take as a result of disclosures by whistle blowers. This won't, however, contain any information that will identify individual whistle blowers or their employers (including ex-employers). We will use your personal information to process your complaint and to check on the level of service we provide. We compile and publish statistics showing such information as the number of complaints we receive, but not in a form that identifies anyone. This refers to when we are processing data on behalf of another business. This could be research, intervention or in a testing capacity. HSE can be engaged by business to provide paid for services e.g. Research and sample testing. The legal basis for processing will be determined by the business we are processing for. We only need the data for the purposes we have been engaged. As the Data controller the business which has engaged us will be able to inform you why they need your data. We require the data to fulfil our contract with the business that has engaged us. We will use the data to complete the task we have been engaged for. We are not able to process your data for other purposes. We may anonymise the data (remove all personal data) and use it for statistical purposes. At the end of the contract with the business who has engaged us, your personal data will be disposed of securely. If you approach us as the processor of your data and we are unable to give you the information or take the appropriate actions, we will write to you and pass your information/request over to the data controller. As part of our statutory functions, we investigate and prosecute individuals and organisations for alleged criminal offences committed under the legislation we regulate (The health and Safety at work act 1974 and other regulations) The Health and Safety Executive is named as a competent authority for the purpose of Part 3 of the DPA 2018 which applies to the processing of personal data by such authorities for law enforcement purposes. These purposes are set out at section31 of the DPA 2018 and are the prevention, investigation, detection or prosecution of criminal offences or the execution of criminal penalties, which might include the safeguarding against and the prevention of threats to public security. Our processing is either done because it is necessary for the performance of a task relating to one of these purposes or with the consent of the individual. Our processing can also include sensitive processing which means processing special category data for law enforcement purposes. Where this is the case we rely on either the consent of the individual or, provided the processing is strictly necessary for the law enforcement purposes, on a condition set out in Schedule 8 of the DPA 2018. Our Safeguards Policy explains about our processing (including sensitive processing) for law enforcement purposes, our procedures for complying with the data protection principles and our policies for retention and erasure of any personal data. When we investigate an alleged criminal offence, we gather information and evidence which might include information about victims, suspects, witnesses and other individuals relevant to the circumstances and events. This information may include samples and photographic or CCTV information. In our role as a competent authority, we need to establish whether offences have been committed so that we can take legal action if appropriate. So, we'll gather information relevant to our investigation which might include information about you. In some circumstances we may share your personal information with other law enforcement bodies / agencies during an investigation. We may also share it with others such as expert witnesses or specialist investigators working on behalf of HSE. If we are considering taking legal action, we'll share this information with our external legal counsel, the courts and any co-defendants and their legal representatives. Court cases are held in public and so personal data, including special category data, might be made public during proceedings. When we successfully prosecute someone, we may publish the convicted individual's identity in our Annual Report, on our website or distribute more widely to the media. We will provide further information directly to data subjects in specific cases to enable them to exercise their rights. This might be in cases where we are processing your personal data that was collected without your knowledge. Yes - we may use external legal counsel for court proceedings, specialist investigators or testing facilities. The information we ask for is used to assess your suitability for employment. You don't have to provide what we ask for, but it may affect your application if you don't. We ask you for your personal details including name and contact details. We'll also ask you about previous experience, education and for answers to questions relevant to the role. Our recruitment team will have access to all this information. You will also be asked to provide equal opportunities information. This is not mandatory - if you don't provide it, it won't affect your application. We won't make the information available to any staff outside our recruitment team, including hiring managers, in a way that can identify you. Any information you provide will be used to produce and monitor equal opportunities statistics. We may ask you to participate in to complete tests or occupational personality profile questionnaires; attend an interview; or a combination of these. Information will be generated by you and by us. For example, you might complete a written test, or we might take interview notes. This information is held by us. proof of your identity - you will be asked to attend our office with original documents; we'll take copies. proof of your qualifications - you will be asked to attend our office with original documents; we'll take copies. a criminal records declaration to declare any unspent convictions. We'll contact your referees, using the details you provide in your application, directly to obtain references. We may also ask you to complete a PPE order form if it is necessary for your role. bank details - to process salary payments. emergency contact details - so we know who to contact in case you have an emergency at work. any membership of a Civil Service Pension scheme - so we can send you a questionnaire to see whether you are eligible to re-join your previous scheme. Or we'll provide your information to our partnership pension provider if you don't want to join the Civil Service Pension scheme. Some roles require a higher level of security clearance - this will be clear on the advert or job description (or both). If you are required to have a National Security Vetting prior to the commencement of your role, it will be managed between HSE and United Kingdom Security Vetting (UKSV) the UKSV will tell us whether your application is successful or not. If it is not, we will not be told the reasons, but we may need to review your suitability for the role or how you perform your duties. Our Code of Conduct requires all staff to declare if they have any potential conflicts of interest, If you complete a declaration, the information will be held on your personnel file. You will also need to declare any secondary employment. Applications are sent directly to us. Once we have considered your application, if we are interested in speaking to you further, we'll contact you using the details you give. If you are seconded to us, you will be expected to adhere to a confidentiality agreement and code of conduct, which will be agreed with your organisation. We may also ask you to complete our pre-employment checks or to obtain security clearance via the National Security Vetting process - both of which are described in this notice. Whether you need to do this will depend on the type of work you will be doing for us. We ask for this information so that we fulfil our obligations to avoid conflicts of interest and to protect the information we hold. We will retain your personal data for as long as is necessary for the purpose it was collected at the end of the retention period; your personal data will be disposed of securely. Final recruitment decisions are made by hiring managers and members of our recruitment team. We take account of all the information gathered during the application process. You can ask about decisions on your application by speaking to your contact in our recruitment team. Yes - we use several processors to provide elements of our recruitment service for us. We use Civil service jobs to operate our online application system and to produce anonymised management information about campaigns. If you accept a final offer from us, some of your personnel records will be held on SOP, which is an internally used HR records system the system is managed by SSCL (Shared Services Connected Ltd). SSCL Also administers HSE's payroll. We use Duradiamond Healthcare to provide our Occupational Health service. We'll send you a link to the questionnaire that will take you to Duradiamond website the information you provide will be held by Duradiamond, who will give us a fit to work certificate or a report with recommendations. You are able to request to see the report before it is sent to us. If you decline for us to see it, this could affect your job offer. If an occupational health assessment is required, this is likely to be carried out by Duradiamond. For senior vacancies, we sometimes advertise through Hays Recruitment. Hays will collect the application information and may ask you to complete a work preference questionnaire that is used to assess your suitability for the role; the results are assessed by recruiters. Information collected by Hays will be kept for 12 months after the end of our agreement with Hays. Our purpose for collecting this information is so we can facilitate the research project you are participating in. The legal basis we rely on for processing your personal data is processing is necessary for archiving purposes in the public interest, scientific or historical research purposes or statistical purposes. GDPR Chapter 2 Article 9 (2) (j). We need sufficient medical and personal data to facilitate the research project. The exact nature of the project will be explained to you before you consider to participating. We use this information to complete the objectives of that particular research project. The data is processed for that project only but may be anonymised to for further processing. You have the right to have your data deleted under certain circumstances. However, if your data has already been used in the research project it may be impossible to separate it. Yes - we use data processors to help process the research. We use data processors who are third parties who provide elements of services for us. We have contracts in place with our data processors. This means that they cannot do anything with your personal information unless we have instructed them to do it. They will not share your personal information with any organisation apart from us. They will hold it securely and retain it for the period we instruct. Our purpose for collecting this information is so we provide information on capabilities to the public. (e.g. Gas safe register, Qualified Diver, Asbestos Register). Our purpose is to regulate Health and Safety in line with our statutory duties under the Health and Safety at work Act 1974, including facilitating registration or licencing of certain activities. We require enough information to process and prove a competency or skill. In some circumstances the database will be to manage or monitor an activity and the personal data may only cover what is necessary to facilitate the monitoring of this activity (e.g. monitoring / chemicals management REACH). The data is necessary to fulfil our obligation to monitor specific activities ensuring compliance either by a database monitoring activity or a registration / certification process. The personal data will be used to provide evidence that you are capable and fit to provide the activity you are certificated / registered to do. The HSE may use the data to check competencies based on the data held via inspection and audits. Some of these registers are public facing registers which allow the public to verify your qualifications before engaging you. You have the right to have your data deleted under certain circumstances. If you do that you will not be able to continue any activity which relies on this data. Our purpose for processing this information is to report an occurrence under the Reporting of Injuries, Diseases and Dangerous Occurrences Regulations 2013. The HSE requires enough personal data to establish who the injured party is and what happened. The HSE and the Local authority regulate RIDDOR jointly and they will need enough personal data to establish if the occurrence falls under HSE or LA jurisdiction. The HSE and the Local authority regulate RIDDOR jointly and they will need enough personal data to establish if the occurrence falls under HSE or LA jurisdiction. The data will be used to establish if a breach of the regulations has occurred. If the occurrence fits within our investigation criteria it will be processed under law enforcement purposes. If appropriate the data will be shared with local Authorities if they have jurisdiction over that occurrence. No - We are a joint controller with the local authorities. Our purpose for collecting this information is so we can respond to you and give you information about the legislation we oversee. We need enough information from you, so we can respond to you. We'll take your name and number/contact email address and, where relevant, the name of the organisation you represent. We need to keep a record of who we have spoken with and what has been asked for/provided. If we can't answer your query/request over the phone, we'll need your contact information for our response. We'll only use your personal information to respond to you and will make a record of our communications with you, both verbal and written. We'll also use your contact information to send you our press releases or information in relation to your enquiry. We will retain your personal data for as long as is necessary for the purpose it was collected. At the end of the retention period, your personal data will be disposed of securely. You can however, ask us to stop sending you press releases at any time and we'll update our records immediately to reflect your wishes. The legal basis we rely on for processing your personal data is public task, under article 6(1)(e) of the GDPR. When we collect any information about dietary or access requirements we also need your consent (under article 9(2)(a)) as this type of information is classed as special category data. We may record our events and promote them on YouTube or other media this data is processed under public task, under article 6(1)(e) of the GDPR on these occasions our public task is (provision of training and information) HSAWA 1974 11 (2) (b). If you wish to attend one of our events, you will be asked to provide your contact information including your organisation's name and, if offered a place, information about any dietary requirements or access provisions you may need. We may also ask for payment if there is a charge to attend. We use this information to facilitate the event, cascade the training message and provide you with an acceptable service. We also need this information, so we can respond to you. If you are not successful in securing a place, we'll let you know and hold your details on a reserve list in case a place becomes available. We may also process your data to invite you to an event of a similar nature. If you are allocated places at an event, we'll ask for information about any dietary/access requirements. We don't share this information in any identifiable way with the venue. We may also process your data to Invite you to an event of a similar nature. We don't publish delegate lists for events. You have the right to have your data deleted under certain circumstances. If you do that, we'll update our records immediately to reflect your wishes. Yes - we use data processors to help facilitate the events. We collect registration information from some of our conference microsites. This is done via an online reporting tool hosted by Eventbrite, who process information in line with our instructions. Yes - we use GovDelivery provided by Granicus to manage subscription lists, preferences and send emails. Granicus has staff based outside the European Economic Area and stores your data in the US. Granicus is certified under the EU-US Privacy Shield framework. If you are making a request about your personal data or are acting on behalf of someone making such a request, then we'll ask for information to satisfy us of your identity. If it's relevant, we'll also ask for information to show you have authority to act on someone else's behalf. If the request is about information we have received from another organisation - regarding a complaint, for example - we'll routinely consult the organisation/s concerned to seek their view on disclosure of the material. No - we do not use data processors for the above. We hold the names and contact details of individuals acting in their capacity as representatives of their organisations across the business (Business cards & outlook contacts etc). If this relates to interactions regarding our regulatory functions or public task, the legal basis is article 6(1)(e) of the GDPR. If the interactions relate to suppliers, contracts, buildings management, IT services etc., the legal basis is article 6(1)(c) of the GDPR for any legal obligation or article 6(1)(f) because the processing is within our legitimate interests as a business. When we conduct an Inspection or an advisory visit, we'll take the name and contact details of your organisation's main point of contact. We may also take details of other staff members during the visit process. We use the data collected to complete the inspection/advisory visit and evidence the information provided. We may publish a summary of the audit we have completed with you, but this will not contain any personal data. We'll publish the fact that we have conducted an Inspection / advisory visit, but this will not contain any personal data. 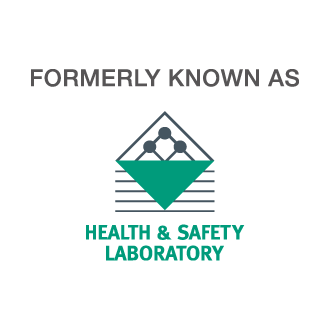 The HSE is able to test biological samples for evidence of chemical exposures (e.g. blood lead) or the early effects of possible health impacts (e.g. haemoglobin level). Your employer will have identified a requirement to test for such exposures (e.g. under CoSHH or the Control of Lead at Work Regulations). We only need enough data to complete the task your employer has asked us to do. we can only process your personal data in accordance with instructions from your employer. This may include Name, Address, Medical Information, Gender, Smoking status and Date of birth. Some data is required for identification processes and we need certain specific data to be able to understand the results of the tests (e.g. normal haemoglobin levels are different for men and women, smoking can lead to higher levels of some chemicals). We collect the Data on behalf of our customers and data controller for the Data is our customer who collected the sample from you. You should review their privacy information to understand how your information will be used. We will not use your contact information for marketing. We apply high standards of security to all information that we hold, in line with our ISO 27001:2013 certification, which provides independent confirmation that our information security policies and procedures follow industry best practice. Your Personal data will only be kept as long as the contract stipulates. Fully anonymized data may be kept for research purposes. This will not contain any data which would identify you as an individual. From time to time we may use processors, but they are only permitted to process the data under our direct instructions.